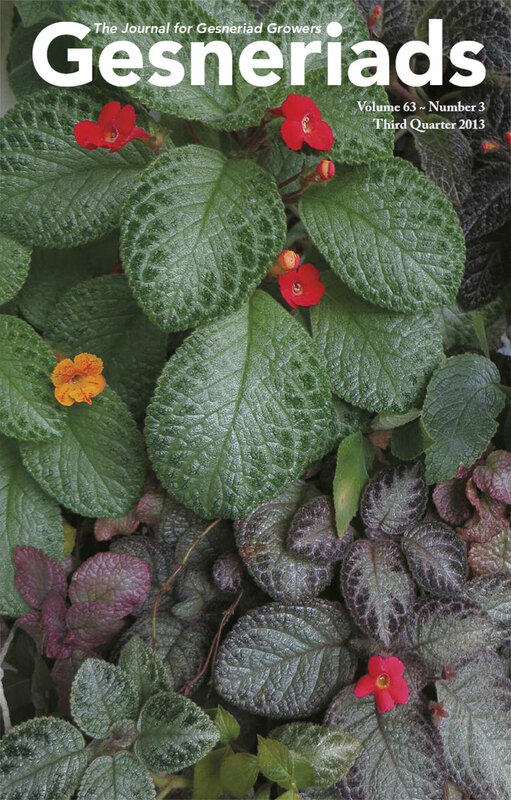 The Conservation Fund supports the conservation of gesneriads around the world. Conservation takes many forms and requires efforts best suited for the locality or country involved. These are three recent efforts that have been funded by conservation grants. The Gesneriad Conservation Center of China (GCCC) is an initiative which began as a joint effort of The Gesneriad Society and the Guangxi Institute of Botany in Guilin, China. A three-year grant enabled the Institute to receive matching funds to replace propagation houses that were falling apart, pay salaries to staff to maintain material that was propagated from recent collection expeditions and develop the Center’s public garden and display house on the grounds of the Institute. There are over 200 species representing 26 genera in cultivation. Professor Wei Yi-Gang is the contact person for all work being done at the GCCC. Mauro Peixoto (Brazil Plants) has been exploring for and growing many genera of Brazilian plants for close to 40 years. The collection includes over 265 species and 158 hybrids in 52 different genera. Mauro works with gesneriad researchers, botanists, botanical gardens and organizations to conserve the gesneriads of Brazil and share his knowledge of them through field trips and seed sharing. The three-year grant extended to Mauro Peixoto will enable him to perform much-needed repairs to his greenhouse, pay for associated labor costs and to supplement travel expenses for additional gesneriad exploration. The Universidad Estatal Amazónica (Puyo, Ecuador) was given a grant to develop a live gesneriad collection at the Piatua Botanical Garden. Although still in its initial stages, the collection includes eleven genera and 30 species, including Monopyle paniculata, discovered in 1860, then misinterpreted for 130 years and corrected by John L. Clark about 15 years ago. The grant is supporting the training of local individuals to identify and cultivate the gesneriads that exist in Ecuador. The project includes a database of photographs and information of all plants in the collection, which will ensure a permanent record of important features only visible when the material is fresh. David Neill is the contact person for this project.